Getting into an accident is always a scary experience. An accident with a drunk driver, however, can be even scarier, sometimes involving even greater injury and property damage than one with a sober driver. When you’re hurt in a crash with a drunk driver, you may be left with extraordinary medical bills, serious pain and suffering, and lost wages from taking time off work to recover. You deserve to be compensated for your injuries, and a claim for money damages may be the only way to get the money you deserve. 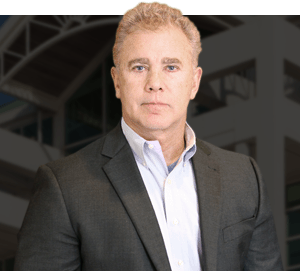 Contact the Mobile personal injury and car accident lawyer Gary Fillingim to find out if you have a claim for money damages after an accident with a drunk driver. Despite the widespread attention given by safety advocacy groups and law enforcement bodies to the dangers of driving while under the influence of drugs or alcohol, thousands of people still get behind the wheel while drunk or high every day. Roughly a third of all traffic fatalities in the US involve an intoxicated driver, according to the Centers for Disease Control and Prevention. In Alabama alone, 3,190 individuals were killed in crashes involving a drunk driver between 2003 and 2012. Despite the more severe punishments now imposed on drunk drivers under Alabama law, drivers still take their own lives and the lives of others into their hands by driving drunk. In Alabama, you may have a claim not only for damages designed to compensate you for your loss, but also for damages designed to punish the responsible party. These are known as “punitive” damages. Speak with an experienced Mobile personal injury lawyer about filing a claim for damages against the drunk driver who hurt you. After an accident, evidence will often be lost or destroyed if not gathered and documented immediately. As soon as possible after an accident, take action to assert your claim for damages against the person who recklessly caused your accident by driving drunk. Contact the compassionate and dedicated Mobile personal injury lawyer Gary W. Fillingim for a consultation on your claims, at 251-445-7257.